Tracy defends private employers, public entities and individuals in all areas of employment-related litigation. Tracy’s practice also includes counseling employers on compliance with workplace laws. Tracy regularly defends private employers, public entities and individuals in state and federal courts in Pennsylvania and New Jersey, as well as before administrative and government agencies such as the U.S. Equal Employment Opportunity Commission, the Pennsylvania Human Relations Commission, the New Jersey Division on Civil Rights, the U.S. Department of Labor and the Delaware Department of Labor. She represents employers in cases alleging discrimination, harassment, and retaliation (Title VII of the Civil Rights Act, 42 U.S.C. Section 1981 and 1983, Age Discrimination in Employment Act, Americans with Disabilities Act, Pennsylvania Human Relations Act, New Jersey Law Against Discrimination), as well as claims under the Fair Labor Standards Act, the Family Medical and Leave Act, the New Jersey Conscientious Employee Protection Act, the Pennsylvania Whistleblower Law, USERRA and state wage and hour laws. Tracy also defends employers in cases of alleged negligent hiring and supervision involving sexual harassment and assault. Tracy’s practice includes providing risk management advice, guidance and training to employers and management personnel on matters including handbooks and policies, on-site anti-harassment training, FMLA and ADA compliance, and discipline and termination strategies. Her practice also includes defense of public and quasi-public agencies and law enforcement officers against claims of constitutional violations such as Section 1983, due process, equal protection, excessive force, malicious prosecution and conspiracy. 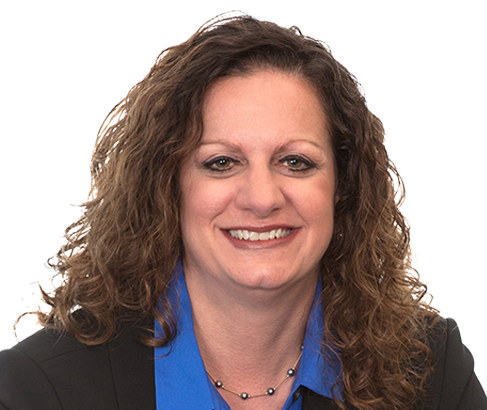 Tracy has achieved an “AV” Preeminent rating from Martindale-Hubbell. She has also been selected by Martindale-Hubbell as a Top Rated Lawyer in Labor and Employment. Tracy is the Chair of Weber Gallagher’s Pro Bono Committee and is a member of the firm’s Diversity and Women's Initiative Committees. Obtained dismissal of whistleblower and wrongful discharge claims under public policy for health care provider in a federal court case brought by a formal employee. Obtained dismissal of civil rights claims, including malicious prosecution, wrongful seizure and excessive force, as well as state law claims, for nonprofit organization and law enforcement officer in two federal court cases. Obtained summary judgment, affirmed by the Third Circuit Court of Appeals, of disability discrimination and retaliation claims under ADA, PHRA and FMLA for healthcare provider in a federal court case brought by a former employee. 06.19.18Tracy Walsh Presents at Pennsylvania Bar Institute’s “Handling a Sexual Harassment Case"
Varela v. Philadelphia Neighborhood Housing Services, 68 F.Supp.2d 575 (E.D. Pa. 1999) (disability discrimination).